"Sons of Anarchy" has been renewed for two seasons, guaranteeing a fifth and sixth season for FX's hit motorcycle-gang drama. The renewal comes as part of a new overall deal for "Sons" creator Kurt Sutter. Under the three-year pact with 20th Century Fox TV and FX Productions, Sutter will remain in control of the show, and will develop programs for both cable and networks. 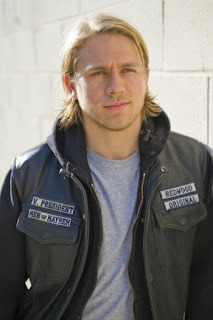 Though the renewal extends "Sons of Anarchy" to six seasons, the show is expected to run at least seven seasons. Famously outspoken showrunner Sutter came up through the ranks at FX as a staff writer for "The Shield." FX's confidence in "Sons of Anarchy" and Sutter is well-founded; its fourth season was its highest-rated season to date, with an 18 percent boost in the adults 18-49 demographic and and a 21 percent leap in total viewers over the previous season. Season 4's two-part finale, which aired in December, also grew 22 percent over the previous season's finale. Hollywood Reporter first reported the news.